Compressed air is a widely used utility in the industrial sector. Unfortunately, it is also often very inefficient, which results in higher-than-necessary energy costs. Operators who put a few corrective strategies into action can lower their compressed air energy costs by 20% to 40%. 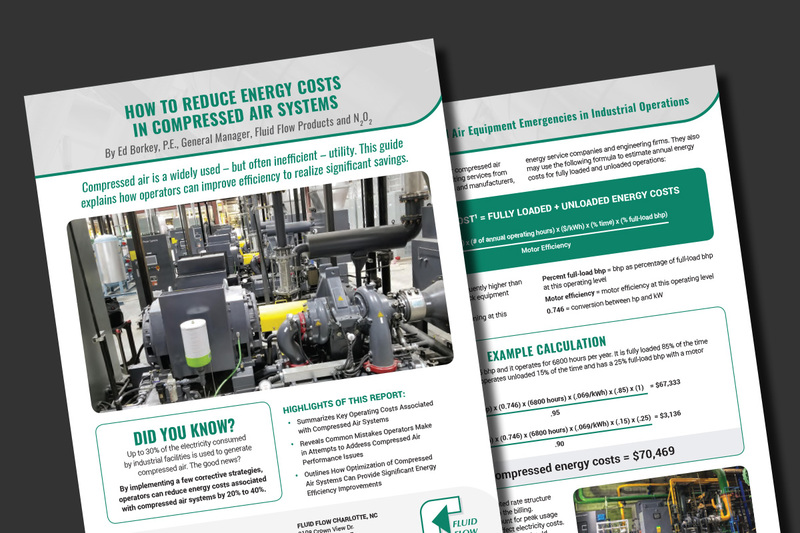 The guide, “How to Reduce Energy Costs in Compressed Air Systems,” is authored by Ed Borkey, P.E. and General Manager of Fluid Flow Products and N2O2. He has more than 30 years of experience helping clients improve the efficiency of their compressed air systems. Download the report for more information.